President Trump speaks in the Oval Office Saturday. He said plans for a meeting with Kim Jong Un are "moving along very nicely." North Korean leader Kim Jong Un (left) and South Korean President Moon Jae-in embrace Saturday on the North Korean side of the shared inter-Korean area of Panmunjom. "A lot of people are working on it. It's moving along very nicely. We're looking at June 12 in Singapore. That hasn't changed. And it's moving along pretty well, so we'll see what happens," Trump said in the Oval Office Saturday. 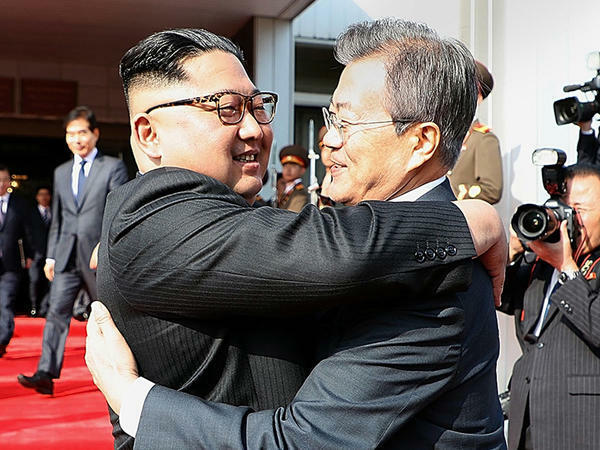 "The two leaders frankly exchanged their opinions on implementing the April 27 Panmunjom Declaration [which the two struck in April at their first historic summit] and for the successful staging of a U.S.-NK summit," Blue House spokesman Yoon Young-chan said. This surprise meeting, on the North Korean side of the shared inter-Korean area of Panmunjom, comes after President Trump on Thursday abruptly scuttled a summit with Kim, planned for June 12 in Singapore. Trump cited "open hostility" from the North as his reason for backing out. Trump backtracked less than 24 hours later, saying on Friday that a meeting with Kim is still possible for June 12. Saturday's meeting was only the fourth time — but the second in a month — that leaders from the North and South have met. White House press secretary Sarah Huckabee Sanders said that "the White House pre-advance team for Singapore will leave as scheduled in order to prepare should the summit take place." 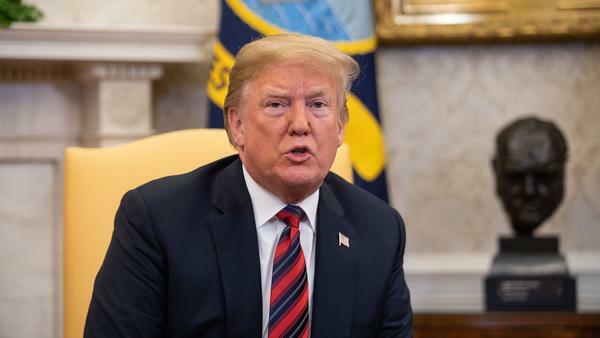 The team, led by Deputy White House Chief of Staff Joe Hagin, was to go to Singapore this weekend to meet with a North Korean team to make plans for the June 12 summit.